1. Monday, I went for a run and I didn't want to die from the heat and humidity. Don't get me wrong, it was still tropical-level humid, but the breeze was actually cool and it was slightly cloudy, and just felt better than a run has in a long time. Yay! 2. Speaking of running, I need to find a 5k. Again. I signed up for one in the spring, but the spring floods postponed it and poor communication resulted in my missing the reschedule. So, it's back to the drawing board, and time to find a good fall 5k. 3. There are brownies in my house. But I'm quite confident they won't be here for long. Especially since there is also good coffee in my house (always, duh) of the hot and iced variety. Everything a girl could want. 4. As a coffee and (hot) tea drinker, I've noticed lately that some foods (sweets) put me in the mood for an accompanying cup of coffee, but others really call out for a cup of tea. Chocolate = coffee. Shortbread or any non-chocolate cookie = tea. Sweet bread like banana bread, pumpkin bread, or scones = tea. Pie = coffee. This is not a unique food revelation or anything, just that I've noticed the natural pairings more lately. 5. Reading. 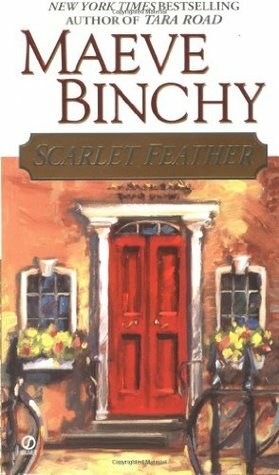 I've been revisiting an old friend the past couple of weeks: Stephanie Plum of Janet Evanovich's long running mystery series that started out a long time ago with One for the Money. I have...mixed feelings about Stephanie Plum these days, but it's been a few years since I picked up the series, and I was in the mood for light and fluffy, and these books are nothing if not fluffy. Although, the mysteries themselves are often surprisingly solid and not all that fluffy. The fluff comes from the backdrop and the characters. And while I enjoy that kind of book fairly regularly, I have to say my biggest beef with this series is that somewhere in the middle, the characters stopped changing or growing or showing any depth beyond there characterization. There are maybe two or three real characters in the books -- the rest are cardboard cutouts. And I say that with affection! I probably notice more because I like these cardboard cutouts...I just wish Evanovich had either worked to put more life into the characters, or quite the series several books ago. It's a shame because the series starts out so fun and interesting and sassy, but becomes really stuck in a rut. At least so far! I'm reading book 19 right now, and she's currently on 22 or 23, I think. I'd like to hope that somewhere in the next two books they find some life but....I'm not holding my breath. 6. I'm kind of feeling like I should pay homage to this back to school season with some YA fiction. Guess a search and visit to the library beyond the storytime room are in order! Party Girl, by Rachel Hollis is such a fun read. Landon Brinkley -- a sweet and friendly Texas girl whose favorite color is glitter -- dreams of being a big-time event planner. When she lands an internship at THE Hollywood event company, she takes off for LA with three months of living expenses, a truck full of optimism, a heart full of ambition, and a lot of determination. Of course, because this is chick lit at its best, things don't go quite as she anticipated. Selah Smith, the founder of SSE Events is the epitome of chic and cool and everything LA. She's also ruthless, and the environment at SSE is sink or swim. But Landon makes friends and allies, and finds some potential romance. She keeps her head down and works hard and keeps her goal in mind...and tries not to lose herself along the way. 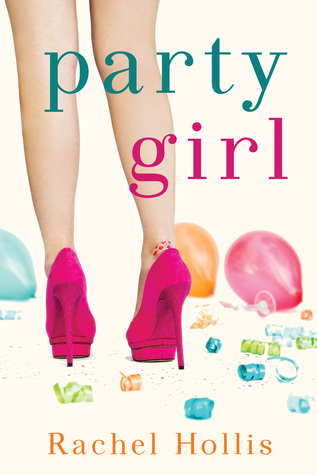 Party Girl is my favorite kind of chick lit -- funny, smart, and with heart. Landon is the kind of protagonist you root for, she's sunny and optimistic, but with hidden depths and more grit, smarts, and determination than people give her credit for. 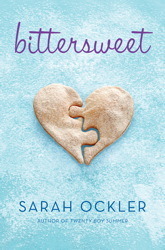 Her friends are the kind of friends you want to have, and the romance has just the right amount of "will-they-won't-they" and plenty of swoon. It was fun to get an inside look at the Hollywood event planning scene (which is based on the author's own experiences). There are shades of The Devil Wears Prada, as far as Selah Smith is a boss along the lines of Miranda Priestly and Landon starts out a bit naive and hopeful. But for their similarities, Party Girl stands completely on its own. This is the first of a series, and I'm looking forward to reading more about Landon and her friends. Bottom line: if you're looking for some quality chick lit or a peek into Hollywood/LA life, check it out! I really enjoy cooking (and cooking shows...and cookbooks...). To be fair, I particularly enjoy cooking when I'm not racing a clock, or have hungry kiddos begging for food, or know that someone else will clean up after me. But situational exceptions aside, I just like it a lot. I was thinking the other day about those people who have contributed to my love of cooking and/or the way I cook. We all have inspirations, and I've been blessed to have a few great ones. Like many others, my first experiences with food and cooking were at home. My mom will tell you she never really liked cooking all that much, but what I remember is that she did (and does) a great job with simple, nourishing meals. From my perspective, she was also good at taking whatever we had on hand and putting it together into something yummy. She was the queen of delicious reinvented leftovers. My Grandma Rush loved to cook. And more than that, she loved to feed people. Big family dinners were a joy. I can also remember a few single men from church would stop by for dinner from time to time, and I don't know who had more fun -- the person getting treated to excellent home cooking, or my Grandma watching them enjoy it. I remember cookies, pies, sun tea on the porch, homemade meatballs, the best potato soup, and melt-in-your-mouth brisket. Being from Kansas City, Missouri, people often ask me about my favorite barbecue place. To this day, I have to stop myself from saying "my Grandma's house." From my mom and my grandma, I learned about simple, good food. About the power and joy of sharing a meal with others. Pull up a chair and make yourself at home. My family started homeschooling when I was in 8th grade, and at some point my brother and I took a cooking class from my mom's best friend Carol. Carol was an amazing cook. Her husband used to say that he didn't really enjoy going out to eat at restaurants because he could eat better at home. I remember thinking it was funny that Carol subscribed to a couple of magazines (probably Better Homes and Gardens, and maybe another one or two) just for the recipes...of course, joke's on me, because I have totally done that. I don't remember a lot of details from that cooking class, aside from making homemade bread for the first time, and learning to read and follow recipes. But what I do remember, is learning the fun to be had in trying new things and branching out. Reading magazines just to discover new recipes. And that you can basically cook anything if you have a good recipe. My culinary nostalgia would not be complete without also mentioning my good friends Nicole and Jeanette. We shared a house with Jeanette for... a few years (I'm having trouble remembering how many), and Jeanette was always game to try out whatever new recipe I felt like cooking. I also think I can credit Jeanette for my intense love of cooking competition shows. We shared a house with Nicole and Ryan for about six (or more? again, can't remember) years. In Nicole, I had a partner in crime. Someone who loved to cook as much as I did, but who had her own unique go-to recipes and style of cooking. Cooking with Nicole encouraged me to explore, to eat more baked goods (well, to bake more...but then someone has to eat it), and to never underestimate the power of having someone to clean up with afterward. 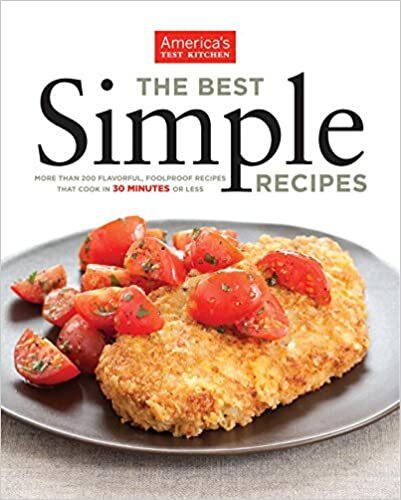 Not only are the recipes fast and yummy, but they do a lot of explaining, so it's like a mini cooking class. 1. I've basically discovered that anything with salted caramel and chocolate is going to be kryptonite. So I've decided that resistance is futile. If it's in the house I'm just going to enjoy it. Once it's gone, it's gone and maybe I'll remember not to buy it in the future (except for special occasions...because you've got to allow for those). 2. I'd like to remind everyone that despite the overabundance of media time devoted to the Presidential election -- which is important to be sure -- there are a lot of other elections taking place. If nothing else, pay attention to who is running for Congress and the Senate in your area. State and federal. Governors, mayors, county commissioners, city council. All of these elected offices have a big impact on our day to day lives. Don't get distracted by the circus. 3. And speaking of politics...can we all just agree right now to stop name calling? To stop being arrogant and condescending or arrogant and bullying toward people who disagree with us? Please, and thanks. 4. Olympics! A nice break from the circus. 5. So, I'm in the middle of watching Star Trek Voyager on Netflix. I'd say it's a rewatch except I never actually watched Voyager when it was on. I hear that it's not as well-loved as other Star Treks, but so far I'm digging it. It's slowing down my reading at the moment, but it's giving me my story fix. 6. Speaking of books, I've bought three in the past week. Two non-fiction! Crazy. It's all the recommendations I'm getting from The Happy Hour podcast. (which you all need to go listen to, especially if your name is Nancy, Erin, or Tess). I did a mid-week check of my 2016 goals today. Hahahahaha! Yeah...it's a good thing the year isn't over yet. But one thing I HAVE done is completed my goal of reading two non-fiction books this year. Score! I may even read another! 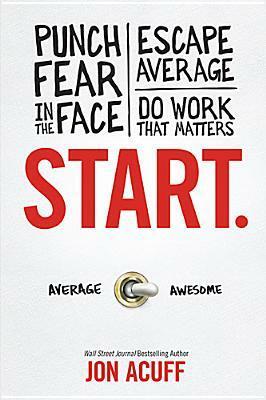 The latest book I read was Start, by Jon Acuff. Start is a motivational book that encourages readers to dream big, and to believe that pursuing and reaching those dreams can be a reality. Start is a nice mix of idealistic and practical. Acuff gives readers a challenge: to identify their "awesome," that thing that makes you excited, that you'd love to be excellent at and that you'd be happy to do every single day. He talks about the journey of "awesome" in a realistic way -- it's not a predictable, linear journey, and one that you have to keep working at all the time. He gives advice for identifying and addressing those fears and doubts that keep us from pursuing our dreams. He talks about pitfalls along the journey such as getting caught up in success, getting complacent, There's a lot of good action steps, starting with finding 30 minutes a day to start working on your awesome, and figuring out how you work best and finding a way to apply that to your awesome (for example: do you work best alone? in groups? with a partner? a little bit at a time? on a deadline? no deadline?). I'm not great at summarizing books like this, and there was a lot to process. But overall, it's a solid, motivating, practical book written in Acuff's signature funny and witty style. It's got substance without being heavy. A recommended read for anyone who needs a little motivation to get started -- or re-started -- pursuing your dreams.